If your size is S, M you can enter your cup with the applicator. The enna cycle applicator will allow you to place the cup correctly the first time, easily and intuitively. How to use the applicator? A. Use the V-fold (see here) and insert the cup into the applicator. 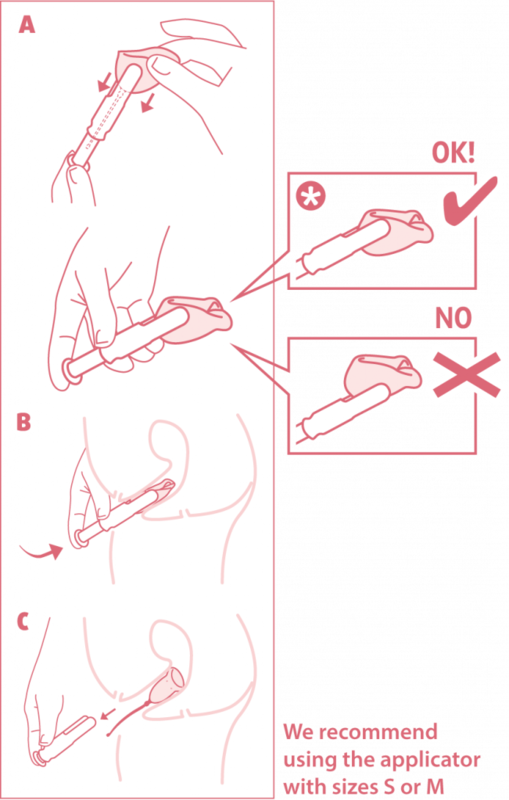 As you see, the thread must go inside the applicator as indicated in figure A. Place the cup in the applicator through the free area of sheet. B. Insert the applicator to the mark where the fingers are placed. You must enter everything so that the cup you well placed. C. Remove the applicator carefully for the cup to open inside and place it correctly.